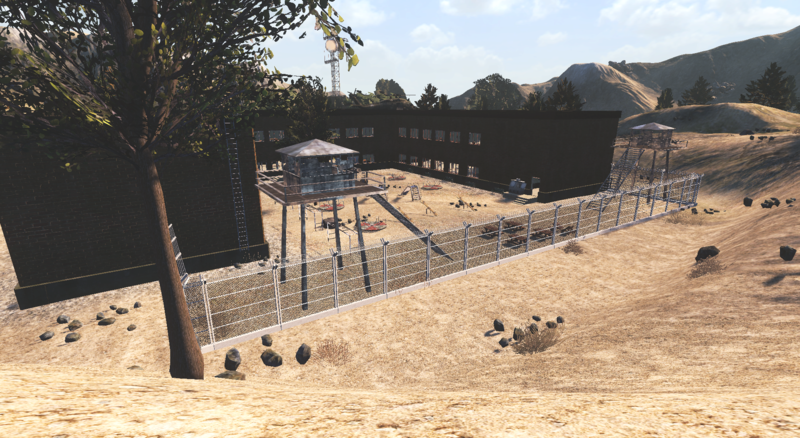 Today I want to show you guys some pictures of the new Battle Royale map that's coming soon. I would also like to update you all about how far we are and what is left to be done. 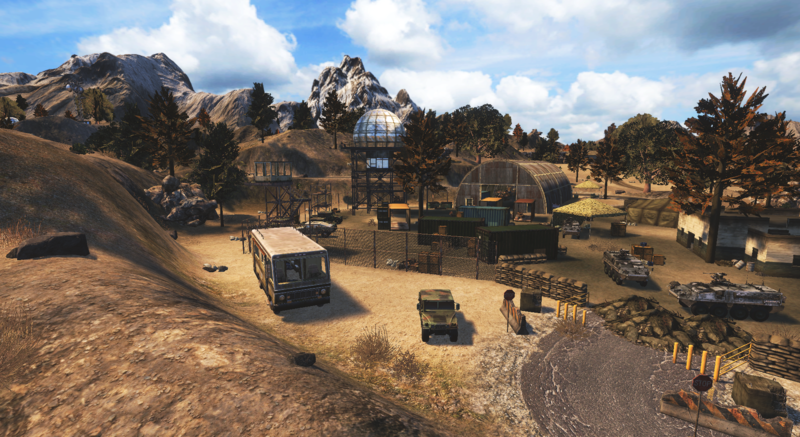 We added a new Battle Royale map few months ago called Arizona. 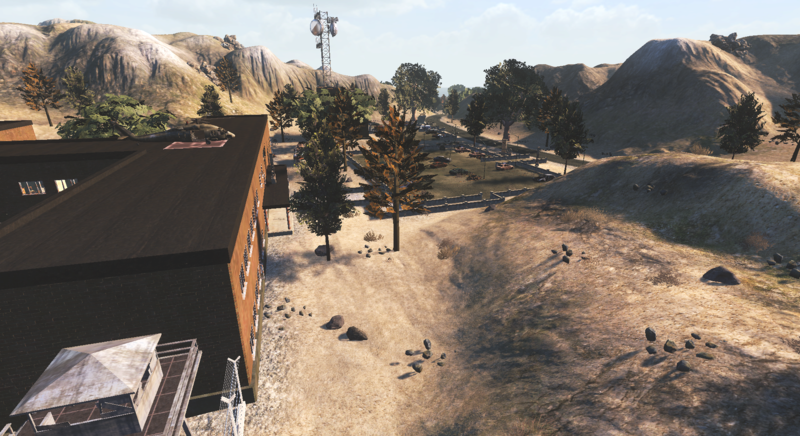 After the Beta phase, we realised, the map is to big at the moment and don't have enogh play-areas. We came up with the idea, to pick that map and make it smaller. The live arizona map is around 6000x6000 and the reworked one will be around 2000x2000. This will make the rounds quicker and you can easly walk from place to place. Cars will still in there but not that many anymore because of the "car battle" at the end of every round what we don't want. 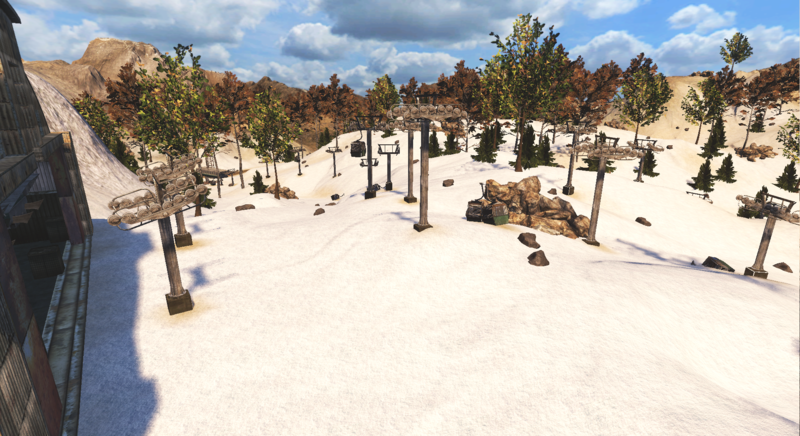 Status right now is, the hills on the map are painted and I am placing all the towns and also paint them. I would say 30% is already done and a lot of new places got created. 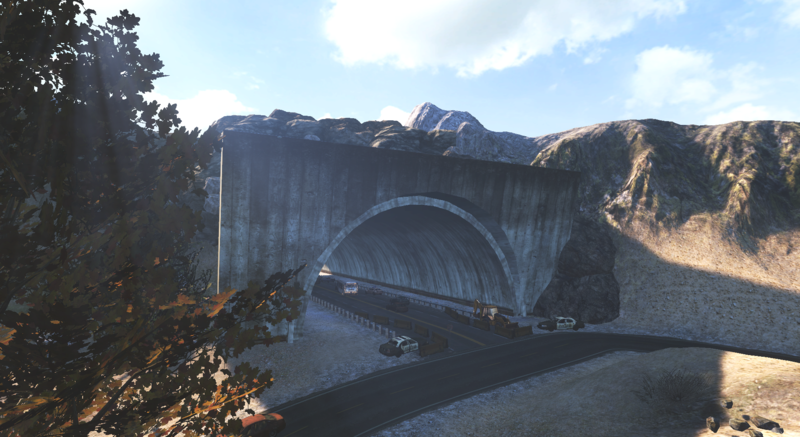 Also one of the ideas of arizonav2 is, to make the map smaller and mix arizona with our old BR map arena. 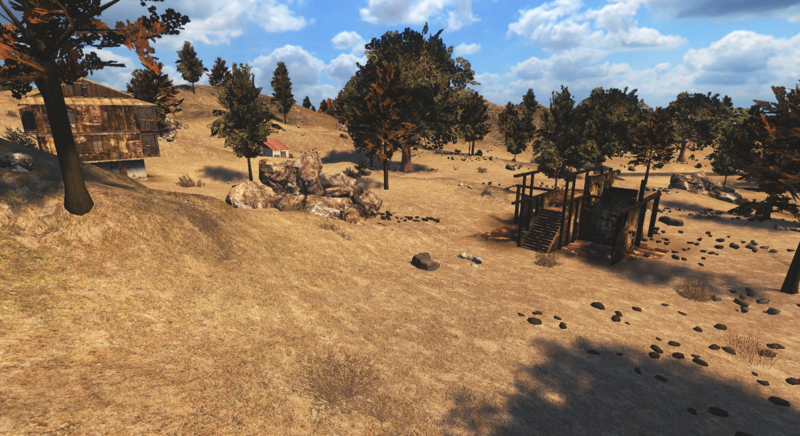 As soon the map is online and playable, you will see some places from arena. I am trying to implement them as good as I can. Since I am not a fan of just placing a town and go next, I also create really nice looking new places. I will try to update that thread as often as I can and i hope, you guys are hyped like I am. Here are some pictures, so you guys see a small part. If you have any questions or if you'd like to share your ideas with us feel free to let us know. In this post we will keep you updated regarding progress. I like the Arizona map but agree it's huge. Is there a way to keep Arizona AND create a new smaller map and call it say... South West New Mexico ? 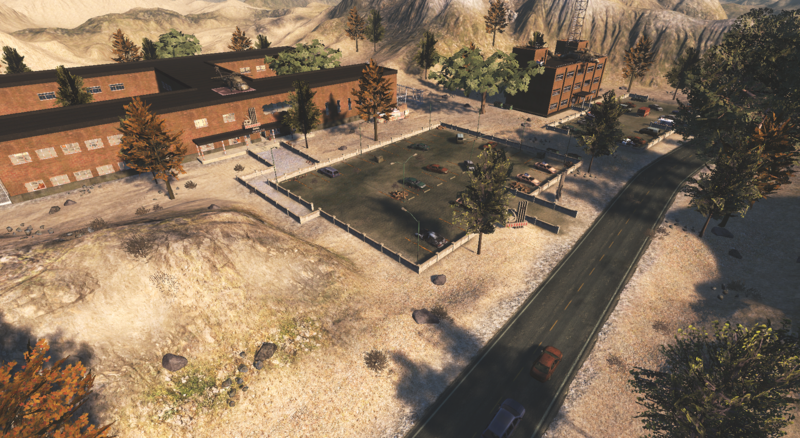 Also... you provided a measurement of 6000x6000 for Arizona and possibly 2000x2000 for the new smaller map. In comparison - what are the dimensions of Tropico ? That's exactly what we're doing. 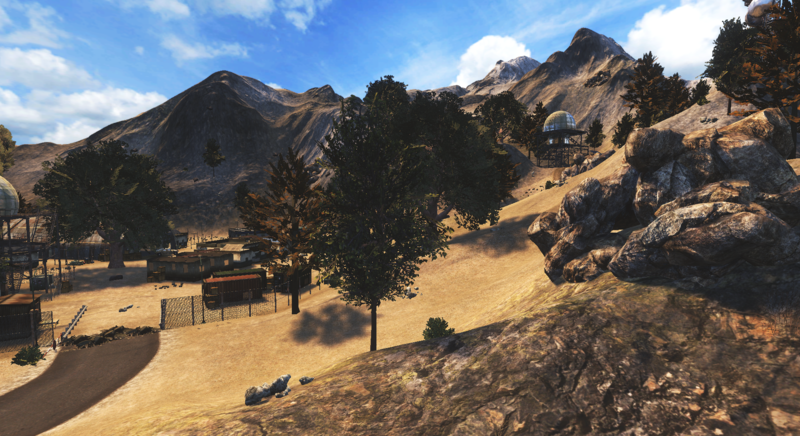 We exported the terrain of Arizona in a smaller map, resulting in the same terrain but just smaller. Приветствую. У меня 2 вопроса. 1 очень насущный. Будут исправлять краш в батле? Очень частые краш это очень плохо. И будут добавлять новые скины батл рояль? Hey. I have 2 questions. 1 very urgent. Will they fix the crash in the Battle? Very frequent crash is very bad. And will they add new skins to the Battle Royal? It will be! Personally very excited for this! 1. Have you tried playing Battle Royale recently? We have done a lot of hot-fixes and patches where this should be improved. IN CASE you crash again, could you update your crash dumps / or explain us in a support ticket or forum thread? 2. We aim to release a new Battle Royale skinbox in the near future! Since this map is called Arizona, where's the cactus. Should add some Saguaro and Prickly Pear cactus to make it a little more authentic. Beyond that, it looks like it will be an excellent map. Great job Silent!!! Keep up the good work. Это будет! Лично очень волновался за это! 1. Вы недавно пробовали играть в Battle Royale? Мы сделали много исправлений и исправлений, где это должно быть улучшено. В СЛУЧАЕ вы снова рухнете, можете ли вы обновить свои аварийные дампы / или объяснить нам в тесте поддержки или форуме? 2. Мы стремимся выпустить новый скин-бокс Battle Royale в ближайшем будущем! И какие файлы обновлять / удалять? I got to watch silenterror working on the new map. oh wow the amount of work that goes into it. we are definitely in for a treat! oh and with the smaller map. no cars. it will just turn back into the car brawl or the winner is the one with the car because he runs over every one. either nerf the damage done by vehicles or do away withem in br. i don't mind walking on a 2kx2k map. thats why we have shoes. oh oh oh. Idea: have findable doctor shoals shoe inserts that reduce stamina loss. your welcome. It's gonna be fun! I'm very excited for the new map! Это будет весело! Я очень рад новой карте! In the Battle Grand piano, crash continues. Just now again crash. Dump updated, does not help. Make sure to click "Send Report". 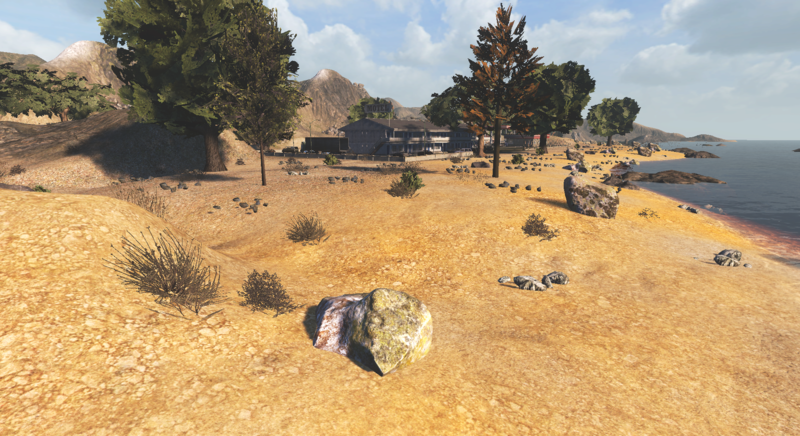 I wanted to update you guys with new pictures out of the map. I would say, object wise it's to 80% done. 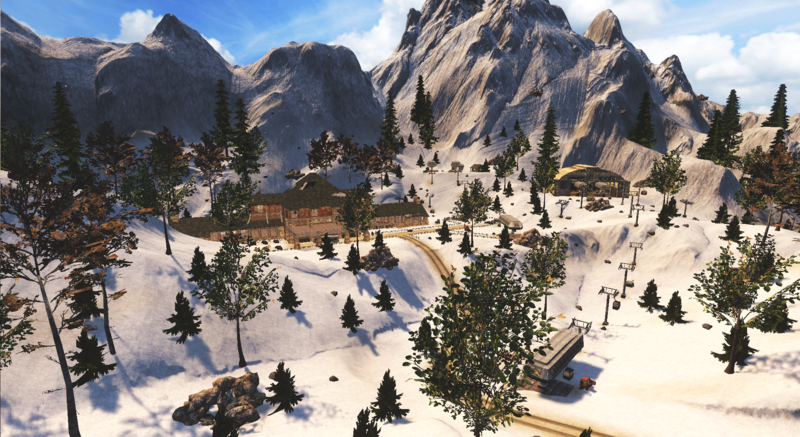 I also implemented the ski area from arena map, which got asked. I hope you guys like the current status and feedback are always welcome.